Lety was born and raised in Brownsville and is a graduate of Saint Joseph Academy. She is the daughter of Mexican Immigrants. Lety is the youngest of her parent’s three children. Growing up, her parents always expressed the importance of obtaining a higher education. Her older brothers practice Dentistry and Medicine. After graduating from high school, Lety moved to Austin to attend the University of Texas. In 2010, she graduated from UT with a Bachelor of Arts degree. She double majored in Government and a combined degree plan in Spanish and Portuguese. She is a native Spanish speaker and is proficient in Portuguese. In 2010, Lety traveled to Brazil to attend the Pontifical Catholic University of Rio de Janeiro. While in Brazil she experienced poverty and injustice firsthand. This experience ignited a curiosity for the practice of law. Upon returning to Texas, she began to consider the possibility of studying law, but she wanted to have a better understanding of what the practice of law would be like. In early 2011, she began working for Jorge Green as an intern and a law clerk. It was this experience that reassured her that a career in law would be what she would pursue. In late 2011, Lety packed her bags once again. This time, she moved to Houston to attend Thurgood Marshall School of Law, earning a Doctorate of Jurisprudence in 2014. Given Lety’s academic achievements, she was chosen to participate in the first Immigration collaboration program between Thurgood Marshall School of Law and the University of Puerto Rico. This revolutionary Immigration collaboration program provided Lety with a solid foundation in Business Immigration and Family Immigration. 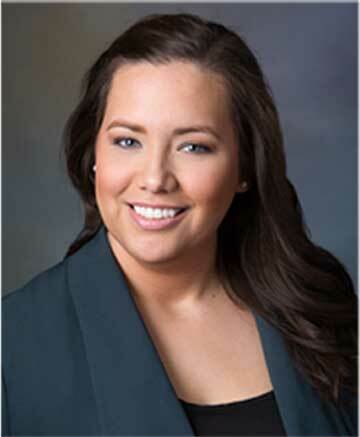 While a student, Lety was also on the board of The Hispanic Law Student Association. While attending law school, Lety remained committed to The Green Law Firm, coming back to work every holiday break and every summer. For years now, Lety has been mentored and has received rare experiences as Jorge Green’s apprentice. She has gained a passion for personal injury law. After graduating from law school, Lety returned to the place that had fostered her passion for law, The Green Law Firm’s principal office in Brownsville. She is now fully committed to helping people who are harmed as a result of the recklessness of others. Her work and experience at The Green Law Firm has given Lety a solid passion for justice and the American legal system. Lety believes the practice of law should be based on honesty, commitment, and hard work and her clients know as much. She is committed to preparing every single one of her cases for trial. Lety’s persistence has led to favorable outcomes for her clients. In her spare time, she enjoys traveling.